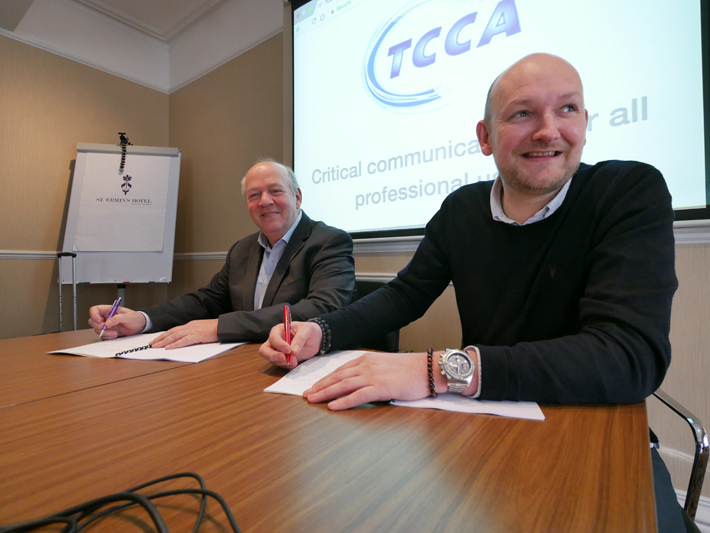 The TCCA, owner of the Critical Communications series of events, has announced the appointment of MA Exhibitions as event organiser for an initial period of five years. MA Exhibitions is the specialist events arm of TETRA Today and Land Mobile publisher Mark Allen Group (MAG). Phil Kidner, CEO of the TCCA, (pictured left) said: ‘After a detailed, thorough and lengthy tender process we are delighted to be working with MA Exhibitions and look forward to forging a successful partnership. The Critical Communications series is the leading and most influential congress and exhibition programme in the world, dedicated to connecting critical communications professionals and promoting their industry and markets. The global event alternates between Europe and Asia and is supported by further events in Europe and the Middle East. The first show to be organised by MA Exhibitions will be the global Critical Communications World event in Europe in May 2018.